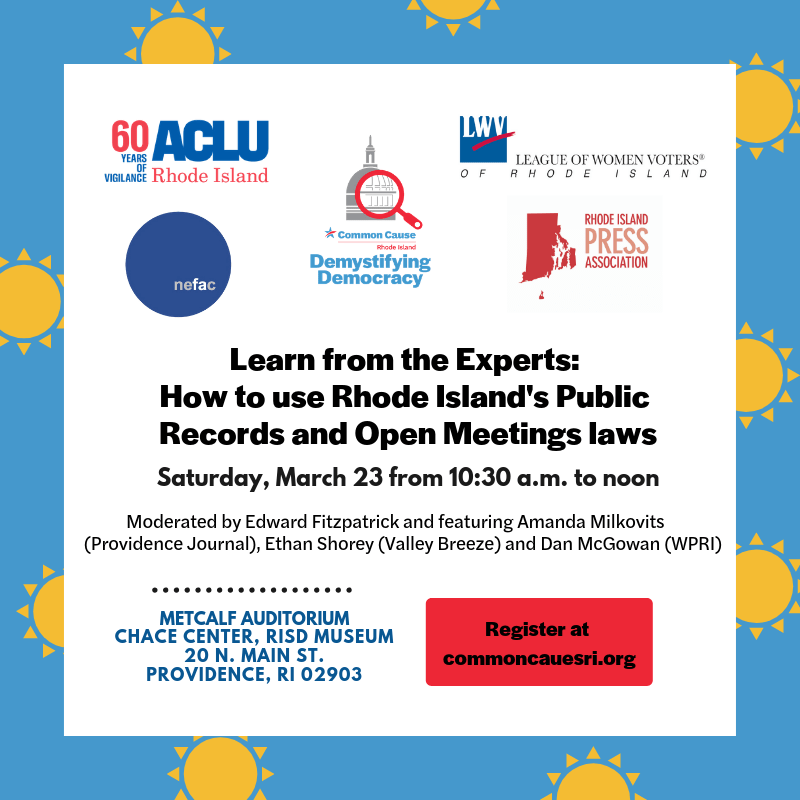 The New England First Amendment Coalition will be participating in several presentations and discussions to honor Sunshine Week, a national celebration of the citizen’s right to know about government. The goal of Sunshine Week — March 10-16 this year with related events occurring throughout the month — is to promote a dialogue about the importance of open government and freedom of information. Participants include news media, civic groups, libraries, nonprofits, schools and others interested in the public’s right to know. All events are free and open to the public. Registration may be required. 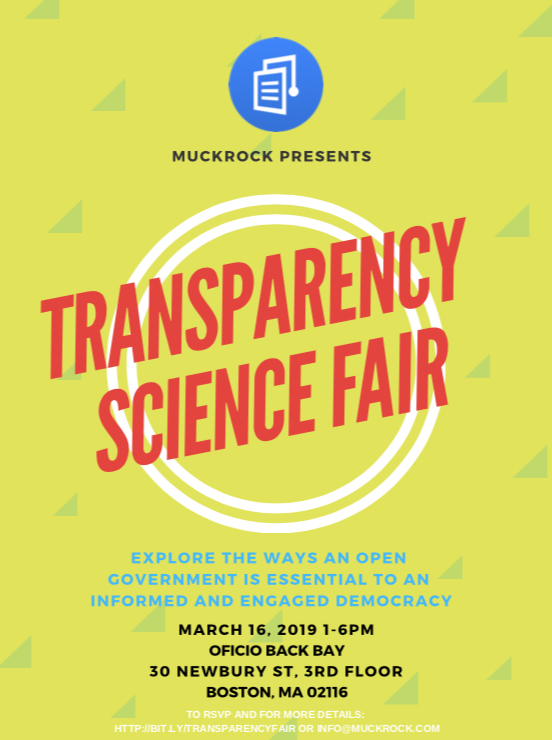 The transparency-themed science fair (think booths, interactive exhibits, prizes and swag) is free and open to the public. Also presenting are the ACLU of Massachusetts, Emerson Engagement Lab and the Boston Institute of Nonprofit Journalism, among others.